So you are in a party with your friends, and your phone is running low on battery. Oops! The ideal solution is to charge your phone using a charger or a power bank, but not everyone carries power banks or chargers with them all the time, especially in a party. What if you can charge your phone wirelessly using another phone when it runs out of battery? Isn't that great? Well, thanks to Sony, you might soon be able to use your friends’ phones to charge your own device. According to a recently published patent application, Sony is working on a new futuristic technique that enables wireless power exchange between various nearby consumer electronic devices, including smartphones, computers, microwave, washing machine, fridges, and TVs, without cords. 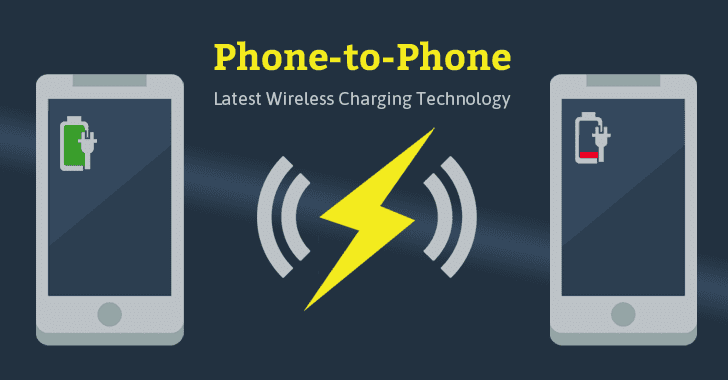 Wireless charging isn't a new concept at all, but this is the first time when the Near Field Communications (NFC) technology is being used for power transfer wirelessly between two devices, that too over considerable distances. You might soon be able to use your friend's phone to wirelessly charge your own smartphone. NFC is a technology that allows data transfer over a short-range, which is why two devices have to be placed nearby, under a certain distance, for the given wireless technology to work. Titled "Configuration of Data and Power Transfer in Near Field Communications," the patent describes where any consumer electronic with NFC chip might be able to search for other devices with the similar technology and connect with them to transfer power, the same way a device searches for available Wi-Fi hotspots. However, the patent doesn’t detail how well this technology would actually work and has no word over the distance for which this technology might work between two devices. "The distances over which the wireless communication can be achieved is typically consistent with distances used for wireless electrical power transfer through the power transfer antenna," Sony's patent document reads. The patent also does not specify that these devices would necessarily be smartphones or computers; instead, it uses the term "portable consumer electronic device," which could be a fridge, TV, computer, microwave, washing machine, and so on. This technology could eliminate one of your worst pains of always carrying out bulky power banks and multiple charging cables, provided your friends or smart appliances are willing to share their battery power to charge your phone. However, patenting an idea does not necessarily mean we will ever see the idea come to life, but if succeeded, your phone will automatically start charging while you walk into a room – Thanks to Smart TVs, microwaves and other devices with NFC-enabled.